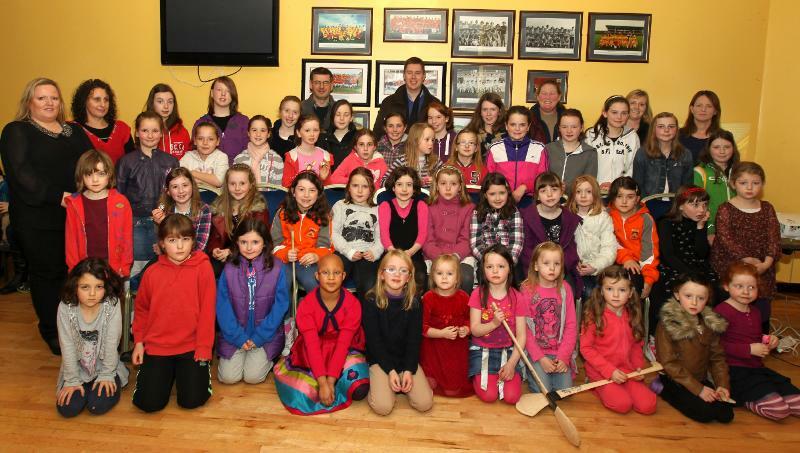 Castlebar Mitchels Camogie players with their coaches Elaine Redmond, Barbara Flynn, Brian Healy, Edwin Quinn, Annie Minish, Miriam Page and Mary Kennedy. The curtain came down on a very successful hurling and camogie year with our annual presentation night on Sunday last in the Sportlann. Chairman of the senior Club Gerry Lane extended a warm welcome to the large numbers of parents and players who were there on the night, He went on to thank all the coaches who gave of their time during the year, and to the parents who also played their part in what was a great year for the club. Finally he thanked the players for the way they represented the club during the year whether at training or matches and said they were a credit to our club. 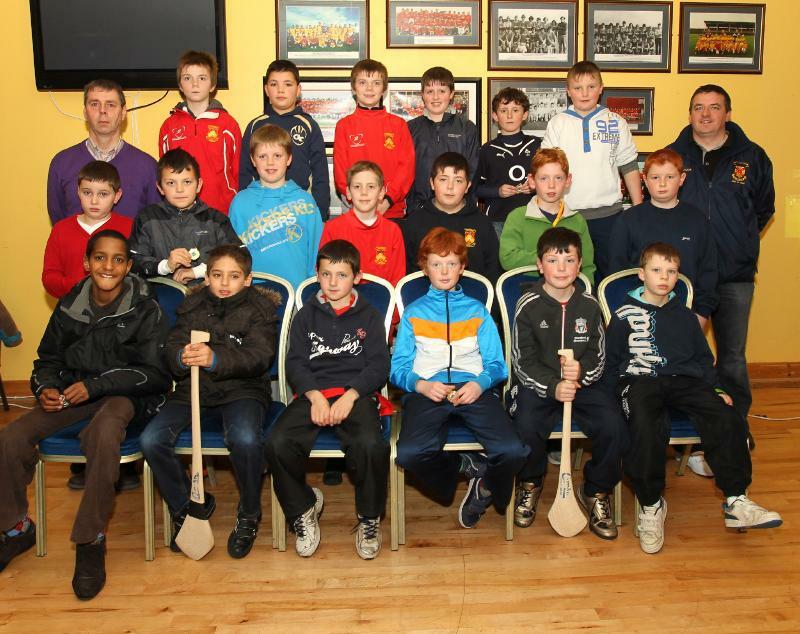 Castlebar Mitchels U-10 Hurlers with their coaches John Lyons and John Kennedy. The various presentation took place for the different age groups with pride of place going to two of our camogie teams who brought home silverware during the year. Our U12 hurlers who were also successful in winning the County Final and finally Daragh Fehilly who won the prestigious Pete Finnertry Trophy for the most improved hurler at u12 age group. 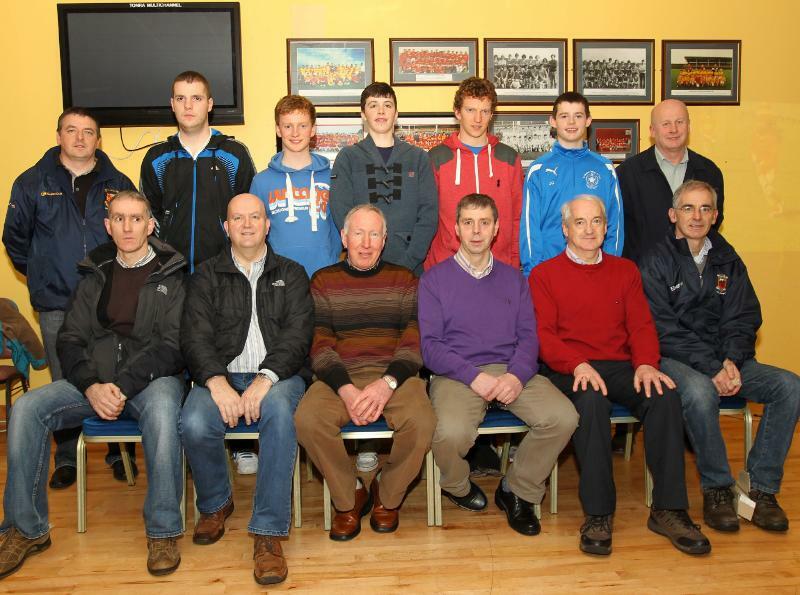 Castlebar Mitchels Hurling Club Coaches at their Annual Presentation, Back, John Kennedy, Keith Fehilly, Eamonn Kennedy, Conor Ludden, Barry Lane, James Gallagher, Tony Stakelum. Front, Ollie Cunningham, Conal O'Domhnaill, Gerry Lane, John Lyons, Paddy O'Brien, and John Murray. The presentation night ended with hurleys, sliotairs and grips being won at every age group followed by a party with loads of goodies and tea and coffee for the adults. 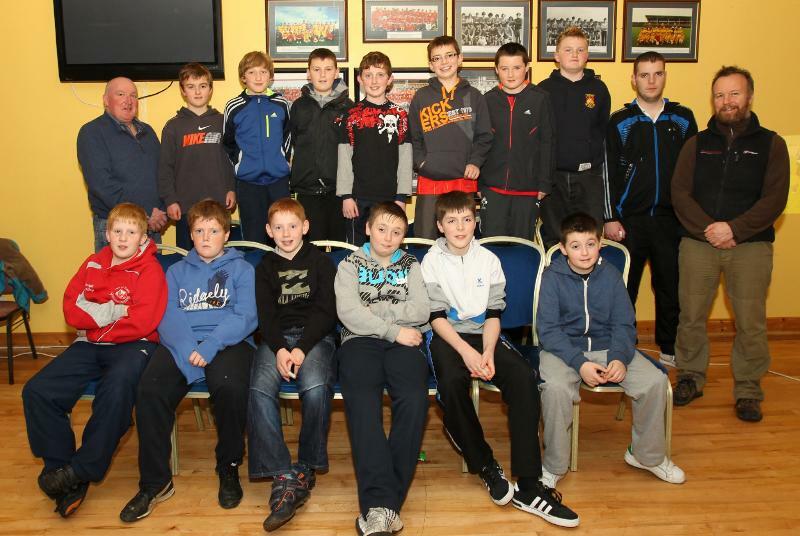 Castlebar Mitchels U-12 hurlers with their coaches Padraic Felle, Keith Fehilly and Stephen Hannon. On behalf of the Castlebar Mitchels Hurling Club may we wish you a Happy Christmas and we will look for to the New Year with renewed hope. 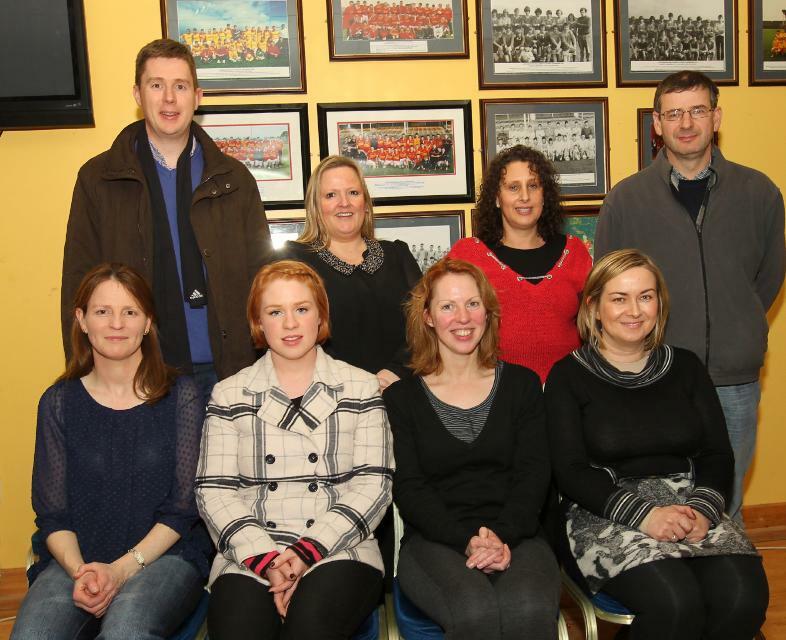 Castlebar Mitchels Camogie Coaches Back, Edwin Quinn, Elaine Redmond, Barbara Flynn, Brian Healy, Front, Mary Kennedy, Paula Harrison, Orla McBride, Fiona Ikela. 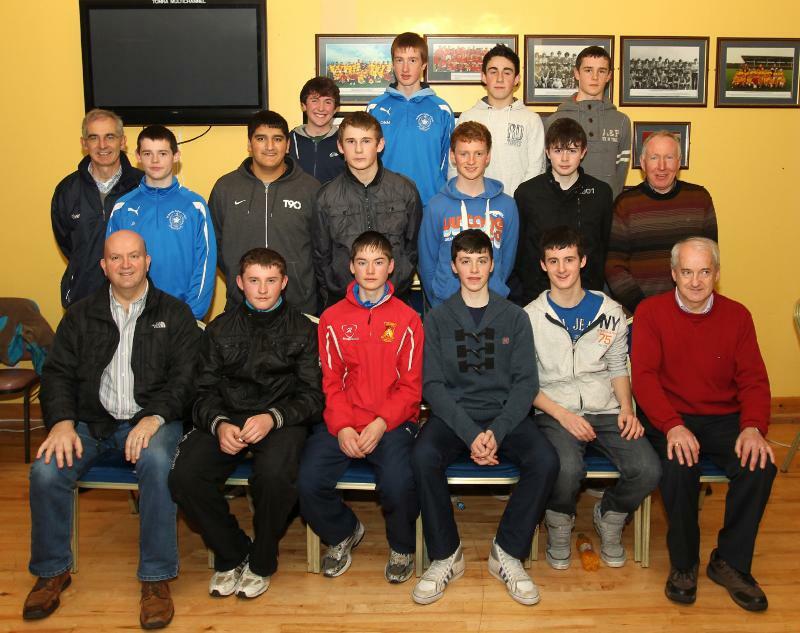 Castlebar Mitchels u-16 / u-18 Hurlers with their coaches John Murray, Conal O'Domhnaill, Gerry Lane, and Paddy O'Brien. 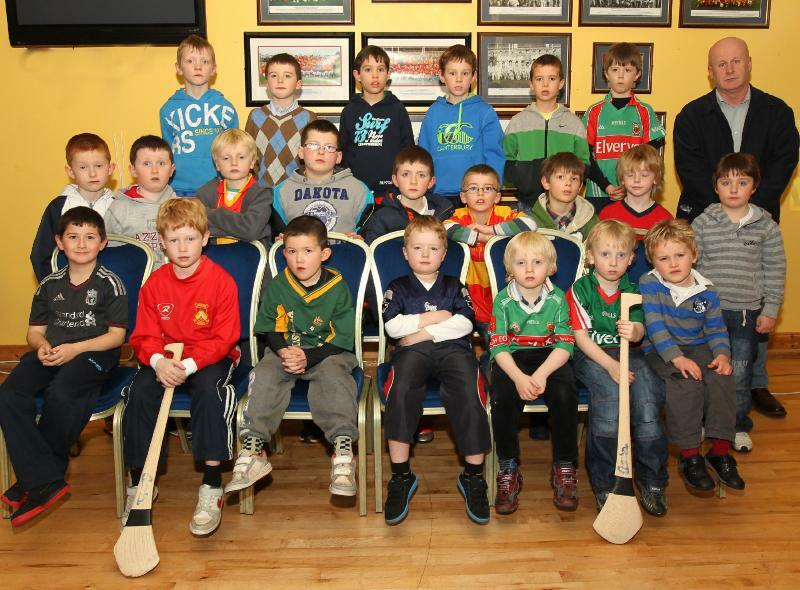 Castlebar Mitchels U-8 hurlers with their coach Tony Stakelum.